Looking for a strong OCR SDK? 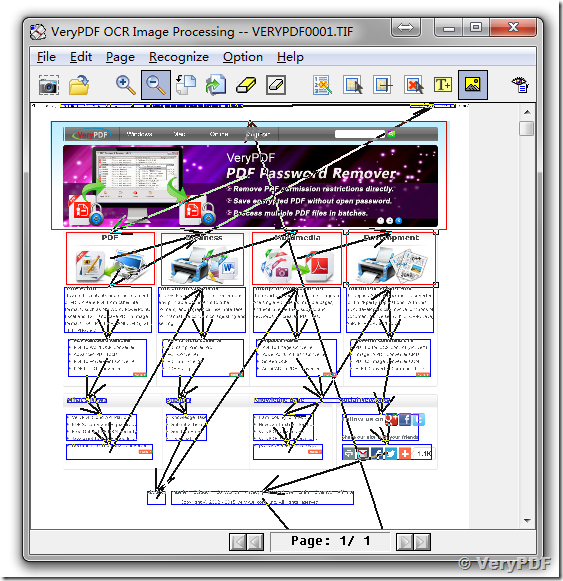 VeryPDF OCR SDK is a 100% royalty-free Optical Character Recognition engine to develop applications requiring OCR technology. Developers can add robust, fast & multi-threaded OCR support in managed and non managed applications with few lines of code. VeryPDF provides fast and highly accurate Optical Character Recognition SDK technology for .NET (C# & VB), C/C++, Android, iOS, OS X, Java and web. Leverage VeryPDF's high-level OCR toolkit to rapidly develop robust, scalable and high-performance recognition and document processing applications that extract text from scanned documents and convert images to text-searchable formats such as PDF, PDF/A, DOC, DOCX, Text, XML and XPS. The advanced OCR SDK technology in VeryPDF is multi-faceted and can be used as a standalone feature as well as the driving force behind more advanced technologies such as forms recognition, check recognition and document conversion. On its own, programmers can write as few as three lines of code to convert an image to text-searchable documents. With VeryPDF's extensive support for more than forty character sets, programmers can expand their customer base by providing the same solution for many languages, including English, Spanish, French, German, Japanese, Chinese and Arabic. This entry was posted in OCR Products, VeryPDF SDK & COM and tagged ocr sdk. Bookmark the permalink.